A beauty subscription box is a hand-picked collection of popular beauty products that's delivered to your doorstep on schedule. 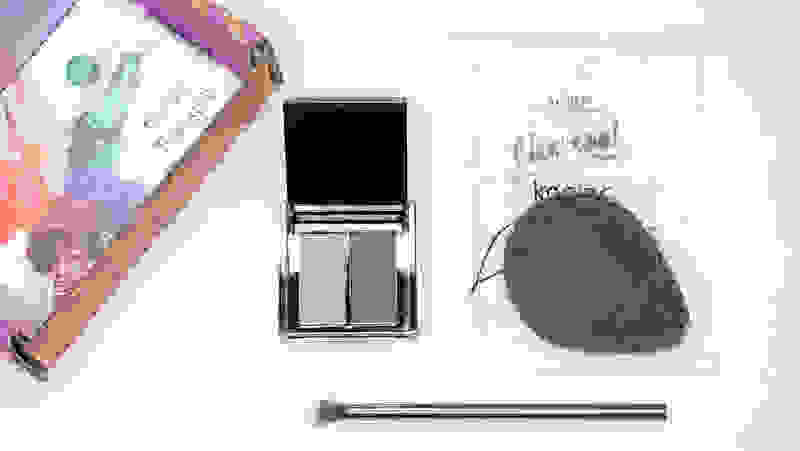 They're wonderful for everyone from beauty junkies who want to build out their bursting-at-the-seams collections, to newbies who need to learn how to apply eyeliner for the first time. 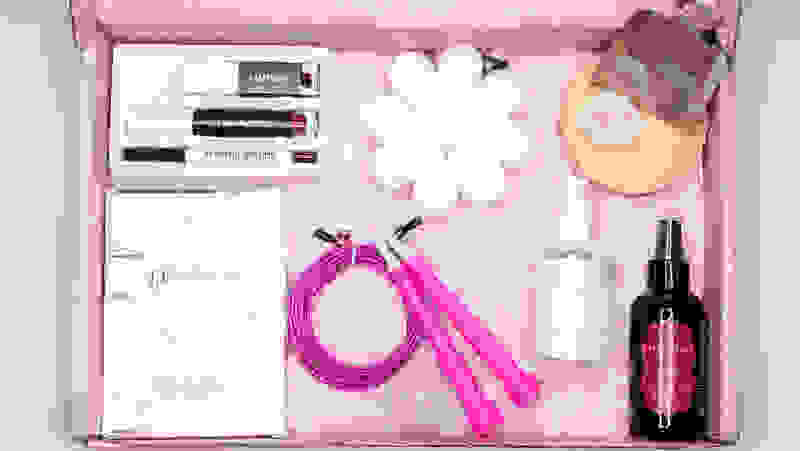 My interest in finding the best beauty box is personal and professional: Yes, I'm a beauty editor, but as a consumer, I want a subscription box that fits my lifestyle, is reliable, a good value, and delivers high-quality products. I don't want to be made confused by my retailer and I want to be able to change my mind—without penalty—if I so feel. 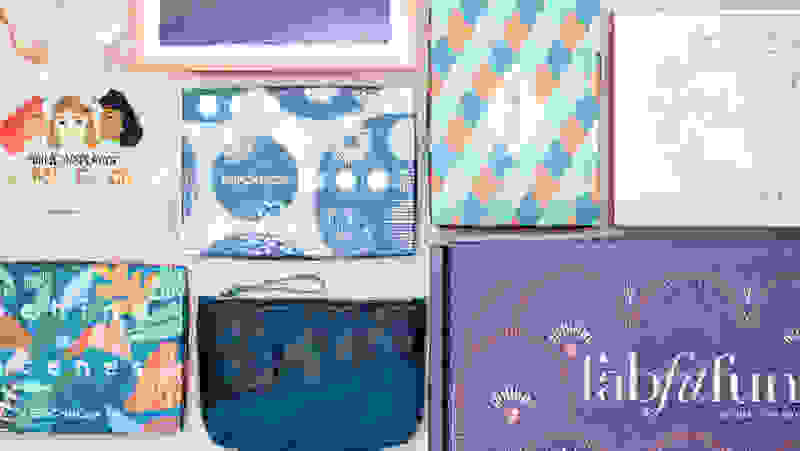 So, for you and I both, reader, I sifted through all of the beauty subscription boxes on the market to narrow the pack down to the best of the lot. We ended up loving Play! 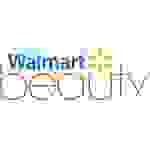 by Sephora (available at Sephora for $10.00) most, since it reliably delivers high-quality, personalized products to your doorstep at a great price. But we were surprised by what else we found out about top-rated subscriptions—for example, we recommend avoiding FabFitFun because of its high price and lack of set cancellation policy. To learn how we tested and selected the products, scroll to the bottom of the article. The bottom line: 5 sample-sized luxury products at a great price with in-store perks and helpful tutorials. What I got in a month: Marc Jacobs Velvet Noir Major Volume Mascara, Sephora Ultra Shine Lip Gel, Origins Clear Improvement Active Charcoal Mask, Caudalie Vinosource SOS Thirst Quenching Serum, Moroccanoil hair treatment, My Burberry Blush perfume. Cancellation policy: You must cancel before the first of the month to avoid charges for that month. It’s very easy to cancel—The button is easily located, and in under five clicks and no run-around, you can opt out. The details: If you're a Sephora junkie, this box is very much worth it. Each box is filled with high-quality samples of the store's cult-favorite brands that matched my preferences and interests—I found myself reaching for the products on weekends. The site is easy to navigate with helpful information on products and orders, and makes cancellation simple. While some beauty box subscriptions put you on a lengthy wait list, the Sephora Play box was reliably delivered between 13th and 24th of every month. It's a slam dunk for consistent, luxury products at a great price. The bottom line: Five high quality, full-size items at a great value, but a long wait list and frustrating customer service. 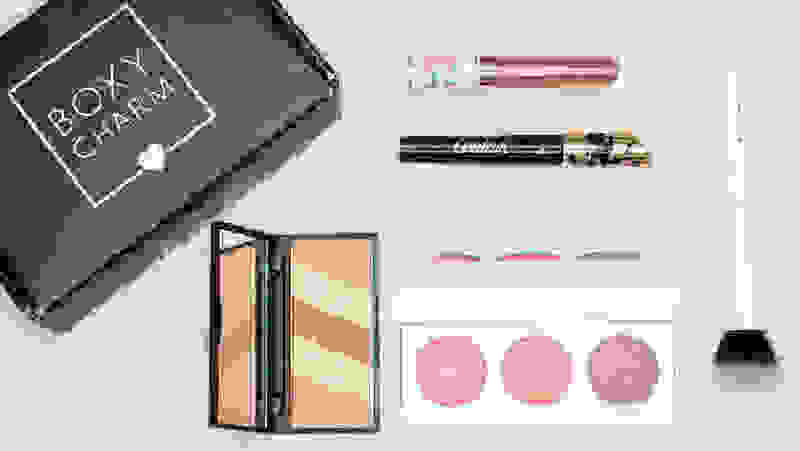 Customization: 16-question survey that starts with 5 Boxycharm-centric questions, like whether you follow them on social media and on which platforms, and then preferred makeup and haircare products as well as hair, eye, and skin color. You can't pick any specific items in your box. What I got in a month: Powder brush by Crown, Tartiest Lash Paint mascara by Tarte, metallic liquid lipstick by Pretty Vulgar, blush kit by Realher, bronzer palette by Beaute Basics. Cancellation policy: You must cancel before the first of the month to avoid billing for that month. The details: The phrase "good things come to those who wait" is frustratingly true here. The value and quality of the products is excellent, but I sat on a waitlist for a long time after submitting my payment: I placed my order in early November and didn't receive a box until late December. When I reached out to customer service for an ETA, I got a canned response and no clarity. When I did finally get the box, I really loved the products and selection: The brands aren't always recognizable, but the products are huge, good quality, and hit every step of a beauty routine, from brushes to full eyeshadow palettes. It felt like a great value, but the frustrating user experience left me feeling a little cold. If you can handle an at-times annoying user experience, we still recommend this box. The bottom line: 5 sample-sized products in a pretty box from the OG beauty subscription service, with a decent array of products and an easy-to-navigate site. Customization: 15-question survey which asks you about coloring, hair, skin, makeup preferences and routine, your preferred style, and favorite products. You can't specifically choose which items go into the box. What I got in a month: In November, Lord & Berry Magic Brow Pencil, Rene Furterer Karité Nutri Intense Nourishing Mask, Stila Cosmetics Huge Extreme Lash Mascara, Vasanti BrightenUp! Moisturizer, Klorane shampoo and conditioner with Mango Butter. Cancellation policy: Cancel prior to the first of the month to stop shipments and avoid being charged for the next month. It’s very easy to cancel: In under five clicks, you’ll be opted out. 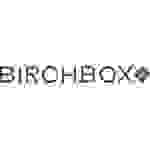 The details: Birchbox is synonymous with beauty subscription services, and this market veteran is a solid benchmark. The included brands might not be ones you recognize, which is OK if you're looking to find new favorite brands—On the flip side, the notoriety and quality of the samples seemed markedly below Sephora’s. Your box will arrive shortly after you order with reliable delivery (they all came between the 13th and 23rd of each month). However, as the subscription wore on, the products lowered in quality. I only felt compelled to use two of the 15 products I received. Sephora is the better pick at the same price. The bottom line: 5 sample-size products that come in a reusable cosmetics bag; a mix of luxury and dud products, but a frustrating cancellation process. Customization: 16-question survey with questions about preferred brands and products, level of expertise, coloring, and skin and hair concerns. You cannot cherry-pick any items you want in your bag. What I got in a month: Brow powder by Nomad Cosmetics, hydrating hair treatment by Marc Anthony, Lisa Frank-themed bronzer by Glamour Dolls, red lip stain by Manna Kadar, CC cream by IT Cosmetics. Cancellation policy: You must cancel your subscription by 12 p.m. on last day of the month to avoid being charged for the next month’s bag. After you find the cancelation page on-site (it's hidden), Ipsy will email a link that you must click to confirm cancellation. 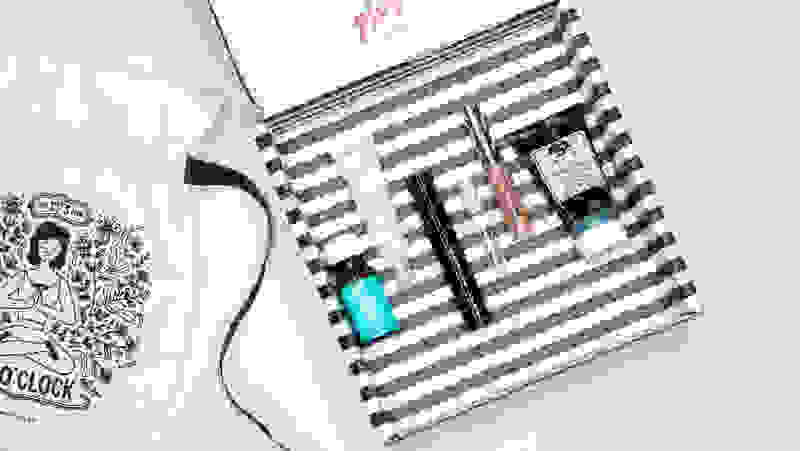 The details: Ipsy falls behind Birchbox for a few reasons: I received products that didn’t match my denoted preferences and a few duds (i.e. : an eyebrow filler that was a shimmery silver color, which wouldn’t work for anyone). There were some high-end products that piqued my interest, like Smashbox and First Aid Beauty, but by and large there were lots of brands that I wasn’t particularly impressed by. However, the quality of products did seem to increase as my subscription wore on, making me remorseful to cancel after receiving a Tarte eyeliner, Glossier lip balm, and mermaid-themed highlighting brush on my last month. Bags come like clockwork each month, and the site is easy to navigate, with helpful tutorials for each product—but cancelling your subscription is very involved and irritating. Otherwise, the products are a hair better than Birchbox's. The bottom line: 5 decent products (3 of which are full-size!) at a reasonable price, but the site is extremely confusing. Customization: A 14-question beauty profile with questions about your style, your skin and hair types and concerns, and coloring. Boxes “are matched as closely as possible to your specifications,” though when I accidentally double-ordered one month, I was matched with two different box versions. You cannot individually select products you want in your box. Cancellation policy: The monthly subscription must be cancelled by the 14th of the month to stop the next month’s delivery and avoid charges. It can be completed online, but takes a lot of clicking around and the FAQ page that details the process is outdated, so it won’t be of help—I had to call customer service. The details: Glossybox's website and customer experience tanked its score. The website is difficult to navigate and the receipt doesn't accurately reflect what comes in each box. The site's setup is confusing enough that I had to call customer service a couple times: It turned me off to the brand, despite really enjoying the product selection. It's a shame because the box's display was the most beautiful—opening it felt like a luxurious gift, and the products inside were decent and varied across all steps of a makeup routine. 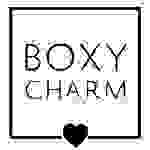 We prefer Boxycharm's product selection at the same price—just remember that both Glossybox and Boxycharm have frustrating customer experiences. The bottom line: Highly customizable box with 2-3 high-quality products, but not worth the price. 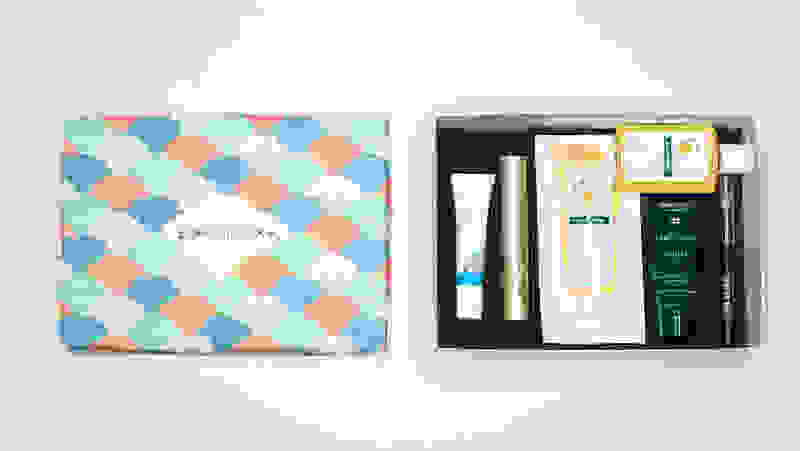 Customization: Complete a 7-question beauty survey with questions like preferred cosmetics colors and products and your coloring to determine which products go into your box. You can fully choose what goes into your box between the 20th and 24th of each month. What I got in a month: Feels Like Velvet Eyeshadow duo, Eyeshadow Brush, and Charcoal Konjac Sponge, all by Julep. Cancellation policy: Cancellations must be submitted by the 24th of the month to prevent billing for the next month. 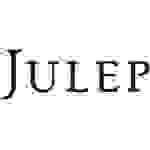 The details: Julep’s Beauty Box claims to include more than $40 in beauty, skincare, and limited-run nail colors, but neither the initial box nor the one I selected seemed worth $25, let alone the MSRP. The option to customize your box is open for four days a month, which is nice by one token, but it also eliminates the element of surprise we crave in snail mail. The quality of the products was upper mid-line, but didn't seem worth the price at the end of the day. If I'm cherry picking my products anyway, I'd much rather just go buy similar quality products at Sephora. The bottom line: Utilitarian, hygiene-centric samples that seem more geared for a trial-sized packing than a beauty routine. Customization: 8-question survey with questions including hair type, skin concerns, and ethnicity. You can't choose any specific items in your box. 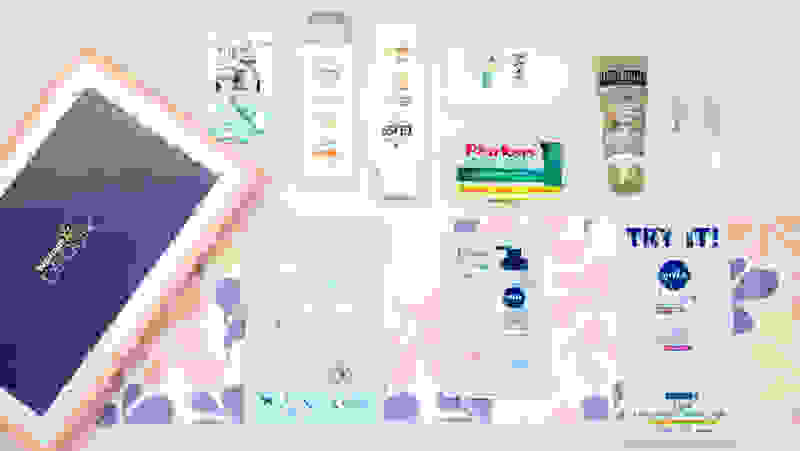 What I got in a month: Dove mini deodorant, Nivea in-shower body lotion packet, Nivea oil-infused body lotion packet, SOO AE donkey milk face mask packet, Olay tone perfecting face cream packet, Schwarzkopf Gliss shampoo and conditioner, Gold Bond Radiance Renewal cream, Plackers dental flossers, two mini perfumes by Body Fantasies. Cancellation policy: Cancellations must be submitted by the first of the month to prevent billing for the next month. It's very easy and painless to find and cancel your subscription on the site. The details: This subscription box is less about beauty, but more like something you would order ahead of a week-long trip. It's filled with hygiene products like floss, lotion, and shampoo—not new or exciting cosmetics or hair care. The seasonal subscription comes once every three months, so you’ll receive an assortment of beauty products each season. There is a "trendsetters" box for subscribers under 35 years old, and a "classics" box for those age 35 and older. Unless you can't make it to a drugstore to stock up on trial-sized products ahead of a trip, skip it. The bottom line: 7-10 low quality, full-sized products with confusing policies and a hefty price tag. Customization: 35-question survey with questions ranging from exercise habits, jewelry preferences, clothing sizes, and hair and skin types. 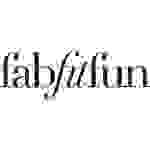 This robust survey is extremely strange since FabFitFun doesn’t curate boxes or allow customization without Select Membership, which requires you to pay $180 upfront for a full year’s subscription. What I got in a month: In the Editor’s Box (October), foldover clutch, wishbone necklace, Purlisse sheet masks, body wash-infused buffer by Spongellé, skipping rope, three-piece lip kit by RealHer, Marrakesh leave-in hair treatment, Anderson Lilley body oil, Himalayan pink salt kit. The details: Don't be fooled by the overwhelming number of reality stars who rave about this service: the products are disappointing, seem chosen at random, and rather low quality. Boxes are shipped sporadically and are curated for the season rather than for each member, meaning that crazy in-depth survey will not help personalize your box. Worse, there is no cancellation date, only billing dates which change by the month, so you can’t be sure that you can even cancel your subscription on time! At the time of publication, the date for the spring box had yet to be announced, so a customer service agent advised me to cancel immediately after receiving my winter box to be safe. Skip this box. You're better off walking into the sale section of a TJ Maxx and picking the first 7 things you see. I’m Reviewed’s resident beauty expert, longtime makeup experimenter, and habitual cosmetics hoarder. I've been playing in makeup since before I could walk and things have only progressed from there. I not only write about beauty for a living, but I've long been the go-to source among people in my life for all things makeup and hair. I live and breathe this. I ordered the eight top-rated boxes like any consumer would: Navigated each website, filled out each questionnaire to my specifications, and impatiently waited by the mailbox to see my loot. With so many subscription boxes on the market, it can be difficult to decipher which one will send you the best products for your lifestyle and preferences at the right price. We spoke with numerous customer service reps to decode the policies, and, of course, tried the included products to find the best of the best. Pre-shipment: How in-depth did the survey feel? Were you notified that the box would be arriving soon? How long did it take for the box to arrive? Arrival: How was the box's presentation upon opening? Are the products well-matched to your survey answers? What is the quality of the products? Are there instructions for how to use the products? Wrap-up: How easy is it to cancel the beauty box subscription? Is this beauty box worth what you paid for it? I ran them all through the same scoring rubric to decipher the best—and the worst. We placed orders in October and November. At the time of initial publication (mid-December), we had received 3 Birchboxes, 2 Sephora Play! boxes, 1 Glossybox, 1 Ipsy Glam Bag, 1 FabFitFun box, 1 Julep box, 0 Walmart Beauty box, and 0 Boxycharm. We will continue to update this article as additional subscription boxes arrive, accounting for the frustrating user experience of being put on an indefinite waitlist for some of these subscriptions.